Social life in the US has so degenerated that Americans no longer are able to converse with nor respect others with political opinions different from our own. This is a serious and dangerous reality into which we have slipped. This problem is now acute and severe, and seems tied to the period from the beginning of President Trump’s political ascendancy until the present moment. The seriousness of this problem calls for a response that leads to change. Reflection should be substantial, building, sustaining, transformative. Not cliches, quips, cleverness, and aphorisms. We have come to a time in which strongly held political beliefs, views, and opinions, overtake simple, obvious protocols for civility. The minimal, behavioral virtues needed for civil, social life are not that complex nor elusive. These are easy to confirm virtues available to everyone. They are not buried deep in the upper reaches of spiritual life and practice. Qualities that make life pleasant include courtesy, kindness, patience, respect, care, and concern. These are not especially elevated nor esoteric aspirations. They are common, normal. What could possibly cause someone to trade away elegant, hopeful, pleasant ways of being away, for behavior that is dark, crude, and hostile, marred by impatience, cruelty, and disrespect? This is unreasonable. and a dumb trade even in on the merit of seeking nothing more than personal benefit. What happened that people now find it reasonable to behave in such ugly and inhospitable ways. From this understanding, it is evident that political divisiveness and intolerance rather than being “bad” or “condemnable,” is rather unreasonable, a delusion, an error, a deception. People are not evil in their grotesque hostility, rather they are misled. It is like meeting someone who uses $100 bills to light their stove. The person is not bad per se, but rather confused and misled. Their behavior is costly, wasteful, and harmful to themselves and others. It is normal to want to be known as helpful, kind. We all feel encouraged if we overhear people saying about us, “Nancy is open minded. She loves to learn. She is always caring.” A political liberal would like this, as would a conservative, or a Trump supporter. We do not differ from one another in this regard, despite deeply held differences of opinion. Furthermore, the lives of people with kind behavior are easier, more pleasant, and more bright. Something has happened, and now this simple truth has become obscured. Strongly held, opposing political views is nothing new. There are times, even recently, in which political views were even more severely divided and divergent as they are now. But even in those times of extremely conflicted political realities and environments, more extremely divided than they are now, we were not willing to abandon the simple behaviors that made life livable day to day. Having a political opinion was never considered as reason enough to allow life and our relationships to degenerate all around us in our day to day experience. It was not enough for any of us to abandon efforts to be decent people. We are in a cloud, a mass delusion. People have become ranting zombies, possessed by the notion that having an opinion is more important than decency, and kindness, that having an opinion trumps the reasonableness of enjoying a pleasant life. We opt against benefiting from normalcy, and the simple and obvious equation that if I am kind, courteous, considerate, and respectful, the life is easier, more livable, less stressful, and goes better for all. More than thinking goodness or peace was lost, rather it seems that obviousness was lost, common sense, and reasonableness was lost. We have been led into a celebration of ignorance that does not even serve self interest! To heal or reverse this requires effective analysis that will provide clues. We need to know how did things became like this. What happened? How did we get led astray? What has caused this cloud and confusion. If we can identify this, it is a first step toward reversing the problem, a step toward a return to basic normalcy, and the ability to live in a courteous respectful ways, even among people who hold different political convictions. We have come see people who differ from us as unworthy. They are unworthy because of their views are different, and because they dare differ. A mere difference of opinion tragically has come to be seen as proffering right to dehumanize and objectify others. We allow mere difference to contaminate our lives and our souls. We drink this poison merely because someone holds view different from my own! This is a broken time, this narrow, brittle, intolerant time. Normalcy has been reduced to tiny spaces, closed circles. In our narrow, closed, little group we try to be decent, helpful, respectful. This is true for people on the left, and for people on the right. 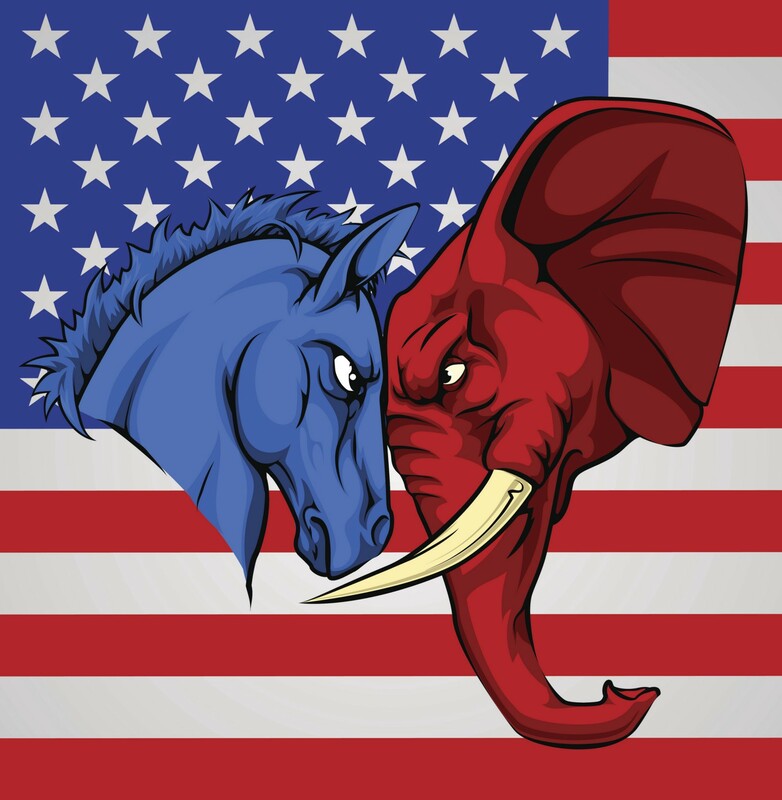 What is the exact nature of political difference? Is there anyone on the Left or on the Right, who would say these following 4 points accurately describe their political views and purposes? Are there any on the Left or the Right who feel that the following fails to accurately describe their respective political views and purposes? No. There are not. People on the Left and on the Right would feel accurately represented by these four points. Difference arises based on our assumptions on how best to go about bringing these four goals and ideals ever more fully into reality. Differences lie on our convictions as to how we accomplish what we all want? How do we get there? Buy what method? This is where the fight lies. Except for extreme cases just about all people throughout the entire political spectrum want the same thing, all have the same goals. People differ only in their views on how to achieve these shared purposes, dreams, and aspirations. Americans once thought of ourselves as a collective. We trusted that as Americans we desired the same thing. Different opinions and commitments came up related to the how, how to get there. What separates us, and marks sometimes intense and extreme differences among us, is our personal opinions about how to accomplish goals that we share. These opinions, and the systematization of the how congeals into ideological communities, which then advance and pursue vying policies. The problem is not that our country is divided. It always has been divided. The problem is that we have decided to allow our differences to define us, and to override normalcy and common sense in how we govern ourselves. People have been deceived into thinking that our views and opinions make us good, rather than knowing that it is our behavior that makes us good. To step back from this cliff does not require that we resolve our differences. Rather it requires that we develop the character capable of loving others across the chasm of difference. This is the path to healing the heart of America. The family is the homeland of extreme difference, but it is protected by the animating force of love. There are no greater differences than those among generations, among those of different genders and birthrights. But the gift of heaven is that love overrides these. In family life we learn how to live respectfully in a world of difference. In this institution, where love is chosen, even in the face of permanent, unyielding difference, respect, courtesy, decency, care and compassion follow. These are the behaviors that elevate a people and a nation.